KayKiSpeaks.com: Hello Titan! Kelly Rowland Shows Us The First Photo of Her Baby Boy! Hello Titan! Kelly Rowland Shows Us The First Photo of Her Baby Boy! I don't have much to say here other than Helllooo Titan Jewell! Why is he so perfect? 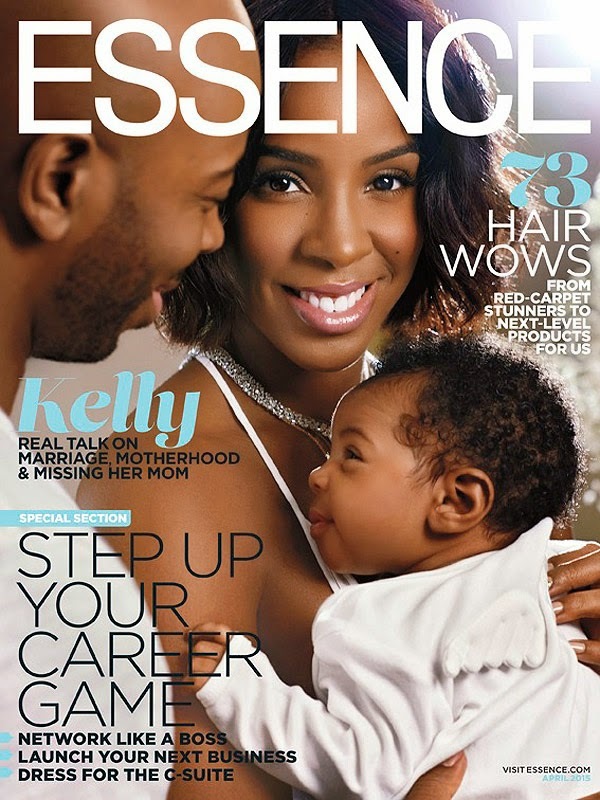 Kelly and her family are feature in the latest edition of Essence. We finally get to see her little man's face and goodness he's a cutie! Kelly looks awesome as always. She definitely has that new mom and new wife glow all over her! Congratulations to her and her hubby Tim Weatherspoon. Babies are blessings! Brownstone Songs We all Love! RILove Maxee!